Developers working with one of the applicants for a small casino licence in Bath, say their proposals will greatly enhance the derelict site and surrounding historic area. Manor Property Group is working with Apollo Casino Resorts and Leisure on plans to redevelop Walcot Street Cattle Market Car Park and historic Corn Market in Bath. It is claimed that the £24m development will not only create over 120 new jobs plus construction and ancillary trades but is the only scheme to fully enhance this part of the city centre by reintegrating one of the most interesting streets back into the life of the city centre. Apollo recently secured the UK’s first large casino licence at the £100 million Manor Mill development in Hull, East Yorkshire. 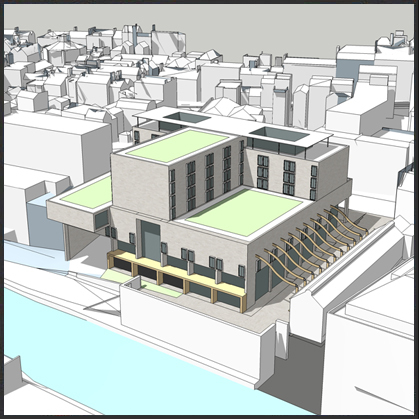 "The early designs of our proposed Bath casino by Pringle Richards Sharratt are for a development which is included within a vibrant leisure quarter with good access to the River Avon," explains Alan Goodenough, Chair of Apollo Casino Resorts and Leisure. "There will be a viewing platform with improved river walkway access and the design will sympathetically repair the streetscape linking Walcot Street with the city centre and provide a new piazza." "The development will respect the value to the city of the Corn Market by rejuvenating the Grade II listed building and open it up for public access, including a better covered home for the antique market. 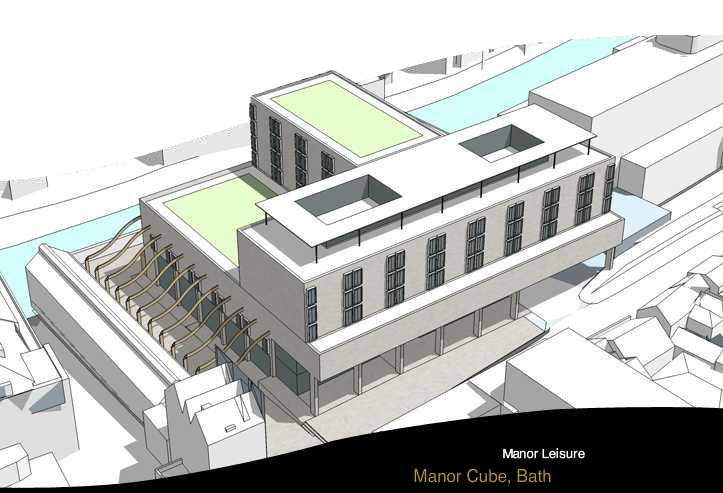 It will also open up the Grade II listed vaults beneath the Cattle Market so far hidden to both residents and visitors, creating a unique riverside venue in Bath" added Mark Bailey Hotel Development at Manor Property Group. The project team has been developing a regeneration brief for the area which includes a 150 bedroom three or four star hotel, several restaurants and bars, and the proposed casino facility. The site is bordered by Walcot Street to the west, the river Avon to the east and the existing Hilton Hotel to the south. London based architect Ian Sharratt stated: "Walcot Street is suffering by being disconnected from the city centre due to the current gap caused by The Cattle Market. The project provides much needed hotel stock on this side of the city and will minimise traffic congestion." The proposals are being considered by the Council as part of the application process to award a premises licence for a small casino under the Gambling Act 2005.